You see, Earthbound composer Keiichi Suzuki made an unusual decision in making the game’s soundtrack: He used samples, many of which came straight from popular songs, and that’s just not something you heard often during the sixteen-bit era. Just recently, I found a video that explained which of the game’s compositions drew from major, mainstream songs by bands like The Beatles. If you fast-forward to the 4:07 mark, you’ll hear that the game samples “Deirdre,” a Beach Boys song from the band’s 1970 album, Sunflower. This is an album I know. This is a song I’d heard before. But I’d never recognized it in the music for Earthbound’s final dungeon until the video pointed it out. And here’s “The Place,” the music for the final part of the Cave of the Past. The Earthbound track isn’t particularly catchy. It’s atmospheric and strange, but it’s basically just a collection of variations on that one Beach Boys sample — the one right at the beginning where they’re singing the name Deirdre. Nonetheless, I liked the track, and it stuck in my head longer than a lot of the other Earthbound music. I wonder if it did because on some subconscious level I knew it was familiar. That guitar, it has been determined, was supplied by none other than Mario’s daddy, Shigeru Miyamoto, even if he’s identified in the end credits as M.D. Seeger. But twenty years later, no one knows what the image is supposed to depict. It sure looks like a digitized photograph and sure seems like something that was also drawn from pop culture, but no one seems know where it might have come from. 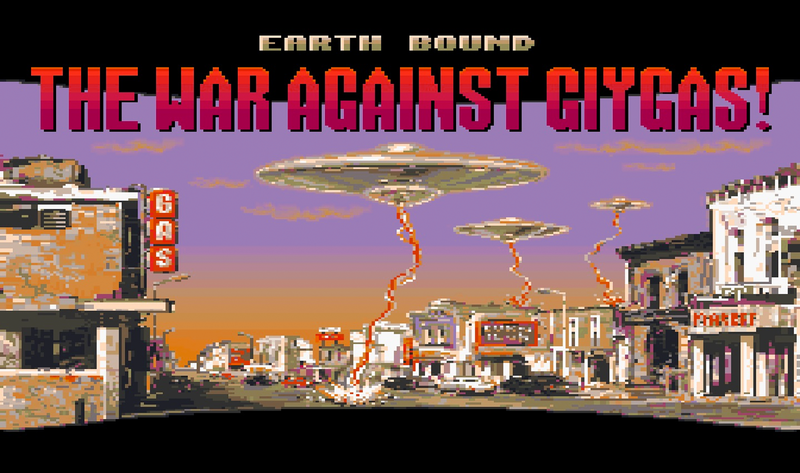 The title screen image comes from War of the Worlds. While WotW is inseparable from the alien invasion genre it pioneered, those saucers bear no resemblance to the ships featured within the novel (wherein they moved on three legs) or any of its cinematic adaptations. The closest image I could find are the posters for "Earth Versus the Flying Saucers" (http://www.imdb.com/title/tt0049169/mediaindex?ref_=tt_pv_mi_sm). But you'll note that all of the feature some metropolitan area under attack, not anything like the little podunk featured here. That's the closest I've seen too. Maybe I need to track someone down who's an expert in mid-century sci-fi movies. 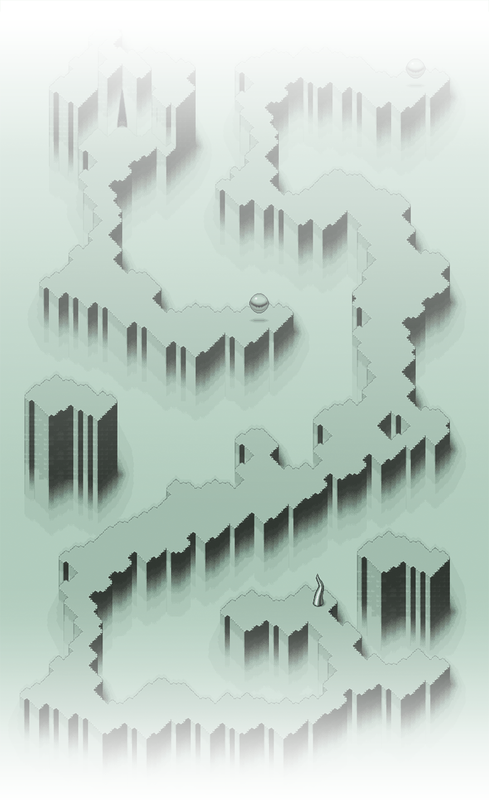 It could be something just made up for the game, but it's such a weird fit with the rest of the game's aesthetic that I suspect it came from somewhere else -- just something so obscure than even we super nerds don't know about it yet.